The economy is on track for solid growth this quarter after recent weakness that was mostly weather-related, Federal Reserve chair Janet Yellen said on Wednesday. Many recent indicators suggest a rebound in spending and production, Yellen said in prepared remarks for a joint Congressional committee. Economists now broadly expect the economy to have contracted in the first quarter, though they also project a strong snapback in the current quarter. At the same time, Yellen cautioned that housing activity has remained disappointing and that the labor market is still far from satisfactory. 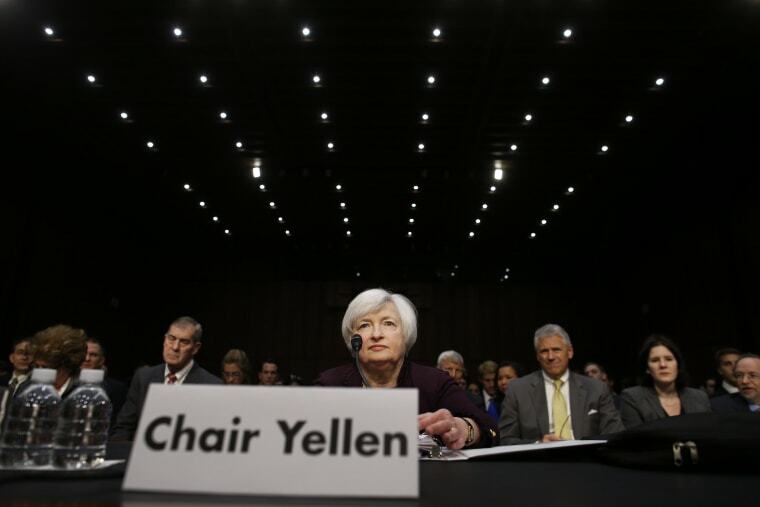 A "high degree of monetary accommodation remains warranted," Yellen said, adding that current interest rate targets would remain low for a "considerable time."